When I began taking martial arts classes, I thought it was simply a way for me to be physically fit. What I didn’t realize was that this simple step of signing up for a class was a step that leads towards mastering the techniques, with belts to prove them. At first, we studied Muay Thai. How to land a proper kick and how to throw punches. How to move away from your opponent’s hook and how to dance away from his striking legs. After a few days, we studied something new: Jiu-Jitsu. Jiu-Jitsu became the class favorite because of the variety of exercises and techniques we that were not familiar with. We were amazed with how holds and chokes could make our opponents tap in defeat, and how we could take advantage of certain body pressure points to ensure our win. Rolling, throwing, mounting, guarding, and choking became a part of our training routine. In terms of complexity, I thought Jiu-Jitsu was more difficult than Muay Thai due of the moves that we had to be familiar with. With Jiu-Jitsu, it isn’t enough that you’re fast and strong, you have to have the right grip to keep the other player from escaping. You also have to have a clear mind to remember breakout techniques in case you are the one being held down. Once we knew the basics, we were introduced to Gi—the uniform we were to use during training. It consists of a jacket, a loose pair of pants, and a belt. The Gi offers a different set of methods in bringing your competitor down, because now, you’d have the opportunity to use the parts of his clothes against him. The perfect hold on the lapel or sleeve or belt could render your opponent defenseless. What came next was the introduction of belts, or what I want to call ‘leveling up’. I didn’t expect Jiu-Jitsu to have belts similar to those in Karate, Taekwondo, or Judo. I thought that with Jiu-Jitsu, you’d only have to quality for a certain weight division and then fight. So, what does a belt mean to a martial artist? The belt signifies the ranking system of a martial art. The level of a martial artist’s abilities is reflected in the color or design of the belt he wears. 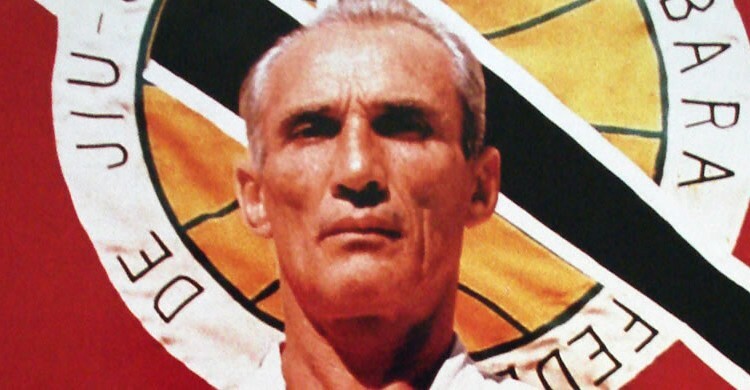 The person responsible for originating this ranking system was Dr. Jigoro Kano, known as the Founder of Modern Judo. His belting system was later adapted by Karate, Taekwondo, and Jiu-Jitsu practitioners, among others. Note that the awarding criteria may be different for each art, and that the country where the martial art is being practiced could also influence the design and color of the belt. To give us a better idea, let’s take a quick look at the Judo belt colors, and learn more about the Jiu-Jitsu belt colors. Judo is a martial art and an Olympics sport that originated in Japan. It’s most distinguished move is the takedown, where the opponent is thrown to the ground and subdued. These are the belt colors in Judo, from the most basic level to the master level: white, yellow, orange, green, blue, purple, brown, red, and black. Within the black belt, there is another ranking level, from the 1st Dan, to the grandmaster level or the 8th Dan. White – This is the first belt in Brazilian Jiu-Jitsu. Basic moves such as guard passes, submissions, and escapes are emphasized here. Blue – A blue-belt student learns an extensive technical knowledge, focusing on implementing moves with efficiency. Purple – A purple belter is expected to have already gained an expansive knowledge that he can be considered to instruct students with lower levels. Black – Having a black belt means having one of the highest levels of expertise in this art. Red/Black – To have this belt means you are a master of Jiu-Jitsu. Red/White – This is a step higher from the red/black belt. Red – A red belt practitioner is considered a grandmaster, whose fame and influence brings him to the highest point of Jiu-Jitsu. What distinguishes the Jiu-Jitsu belts more are the stripes. The stripes are awarded to practitioners to recognize their skills and progress within a level. It serves to distinguish one practitioner from another in a similar rank. For example, you have two black belters, but one has four stripes, while the other has two. In IBJJF (International Brazilian Jiu-Jitsu Federation), once you achieve four stripes, you may be considered for the next belt promotion.